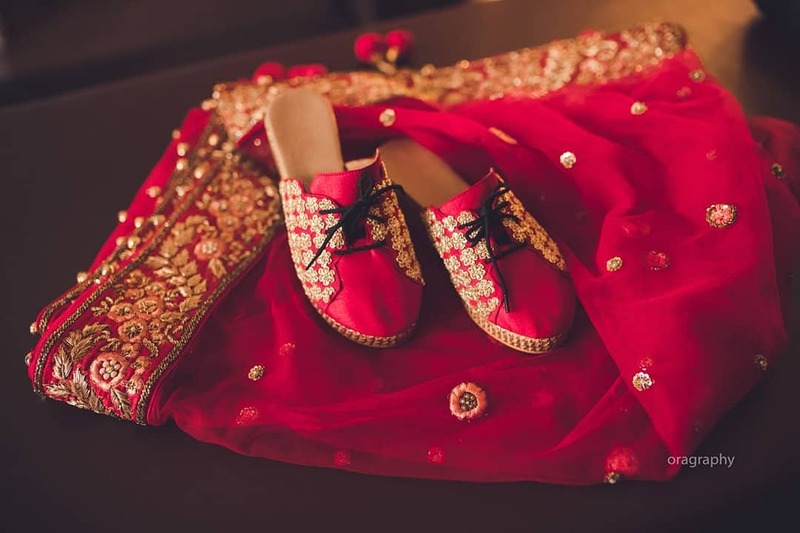 Does the bride today have to wear high heels with her wedding outfits? Absolutely not. 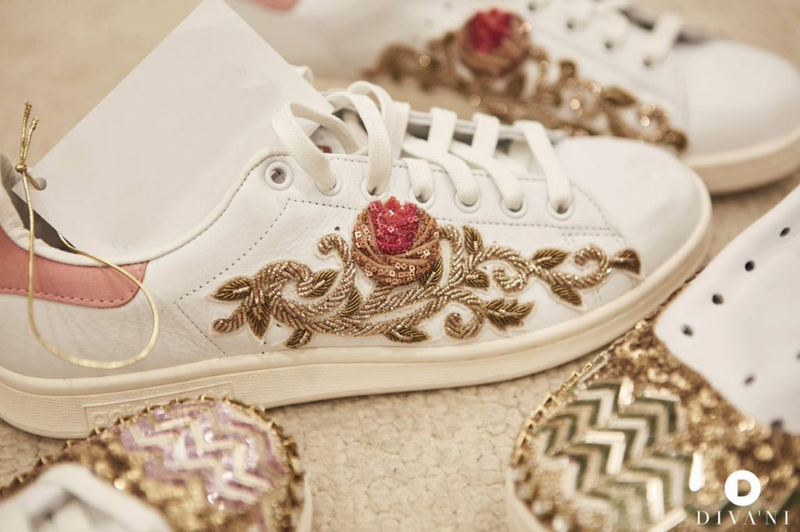 Brides all over the world have been embracing the comfortable sneaker over painful high heels, but your options don’t stop there! 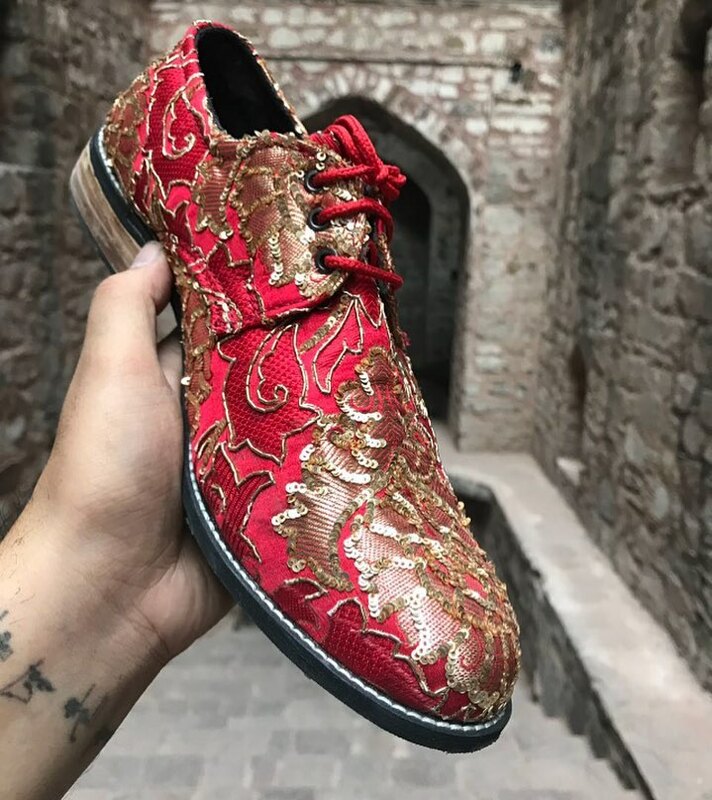 There are loafers with designs like you just wouldn’t believe, and embroidered ballerinas that left me to pick my jaw off the floor. 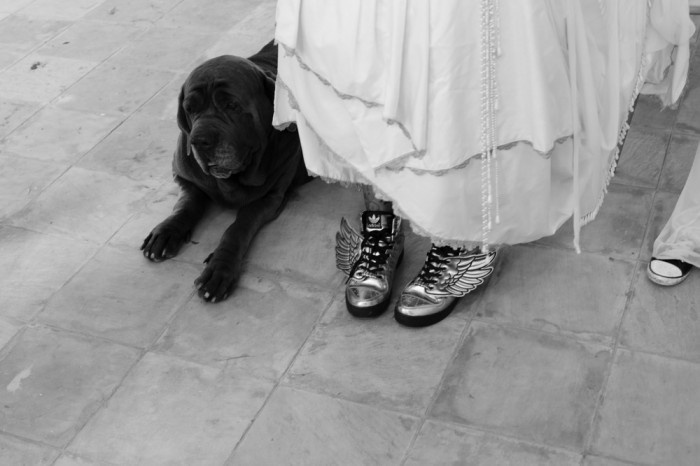 You’ve got to see these beautiful bridal footwear picks to see what I mean! 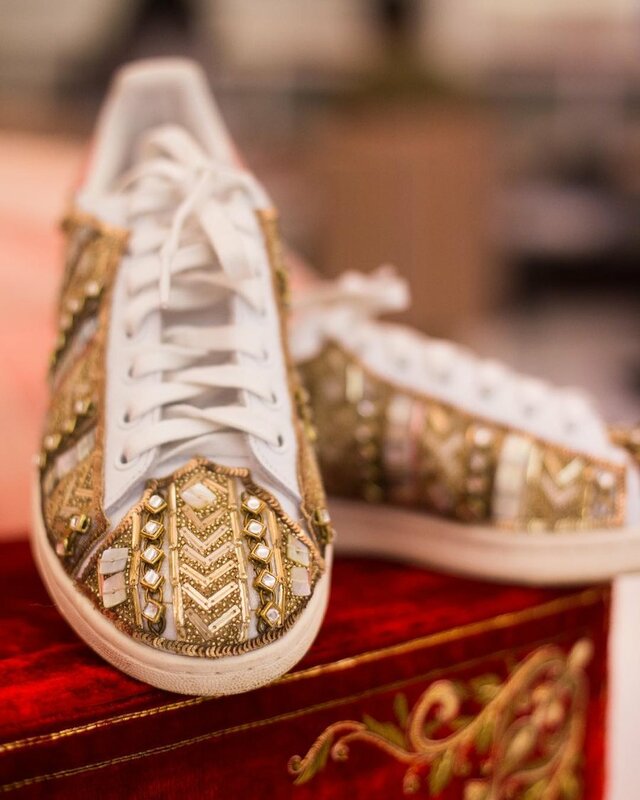 The sneaker is the most popular alternative for the chilled out bride. But, you don’t want to opt for a basic sneaker. After all, it IS still your wedding! 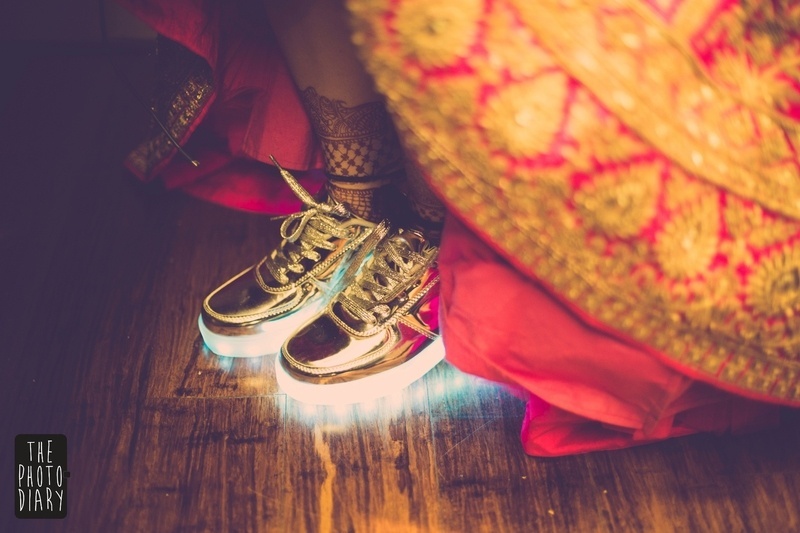 Gold sneakers with LED lights! 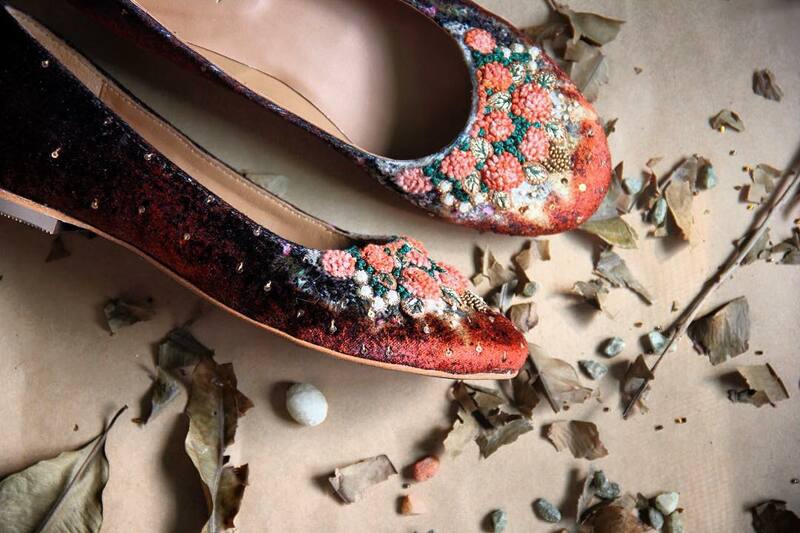 These are anything but your basic ballerinas. 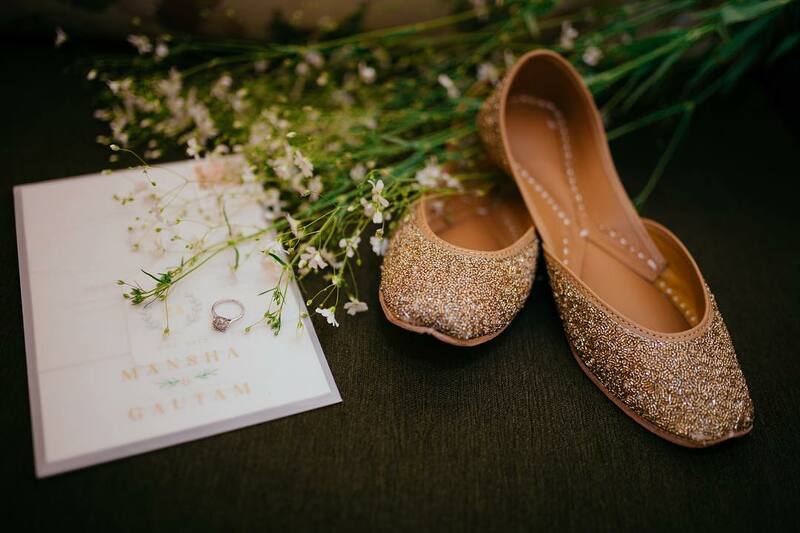 Dyuti Bansal makes the most stunning pairs that are luxuriously perfect for brides! 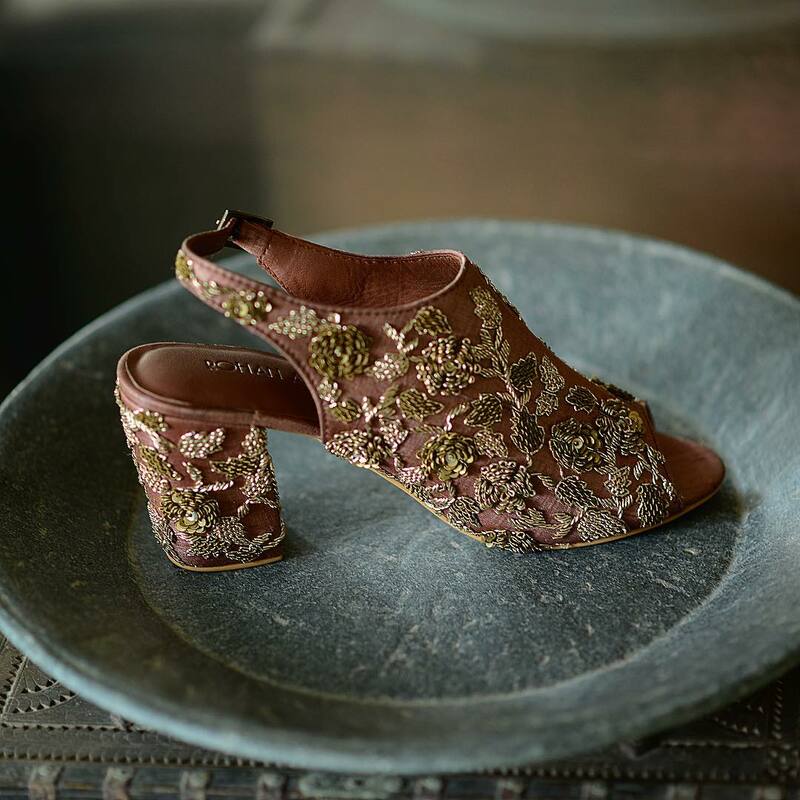 These are for the bride who will not compromise on the height a heel provides. 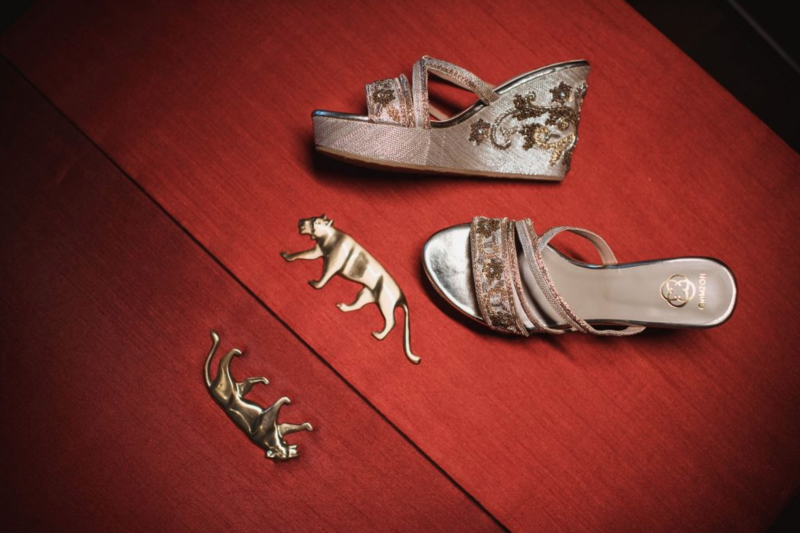 The Right Sided is one of the Indian brands that creates the most incredible designs for wedges. If it’s only the stilletos that you can’t handle, get a wider heel instead and a tie-back to keep your feet in place. 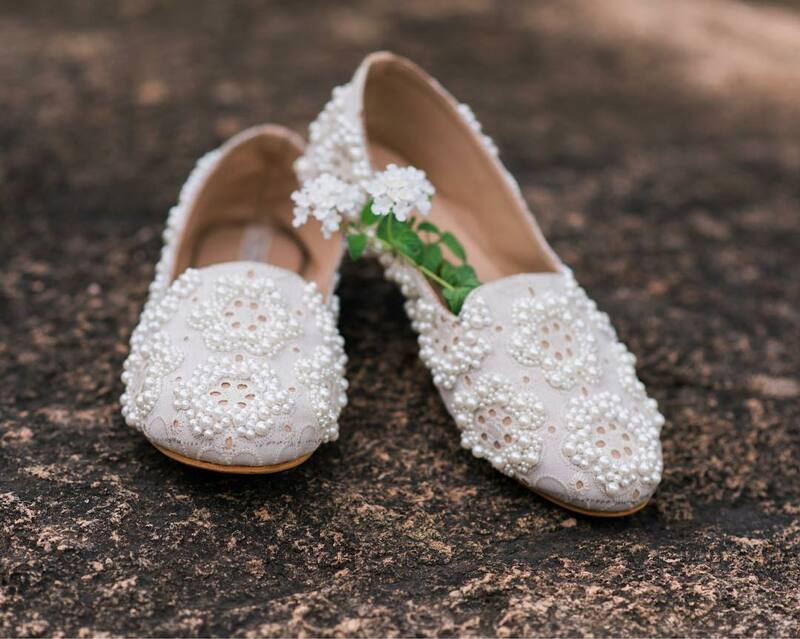 For the flat shoe loving bride, loafers are another great option. 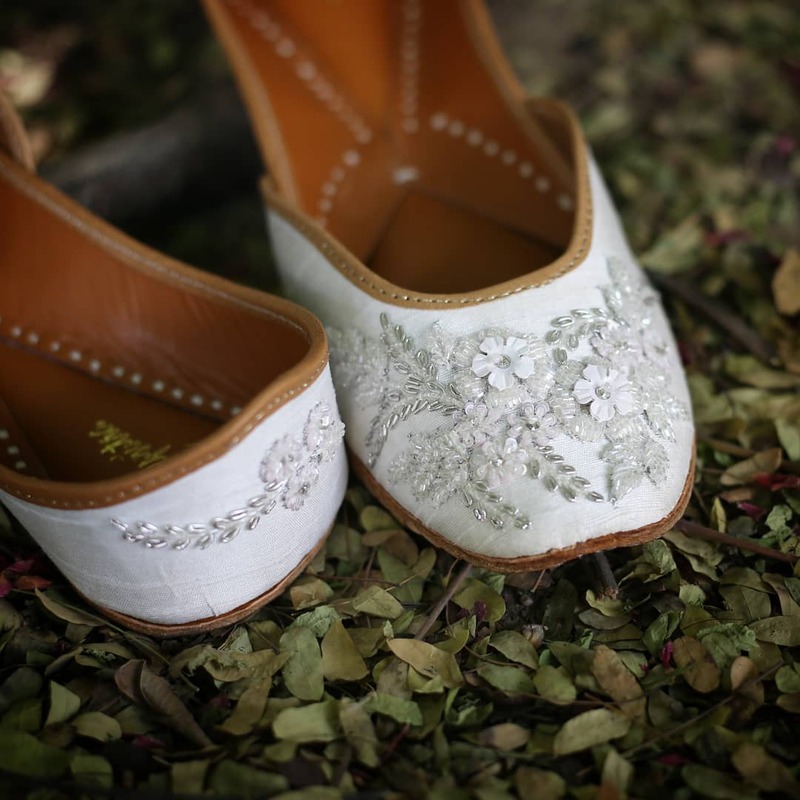 You’ll find plenty of embroidered, sequinned or studded designs in the market (The Right Sided is a brand you must see). One of my favourites was this pair of pearl-studded white beauties from Archana Rao’s label! YES! 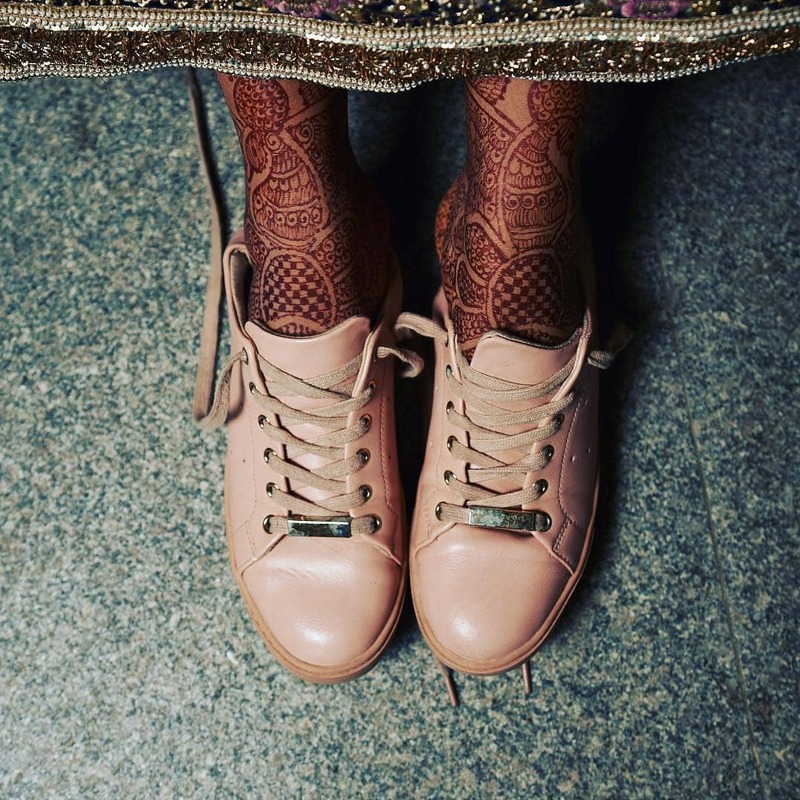 For the offbeat bride, a pair of embroidered brogues are the perfect pick. 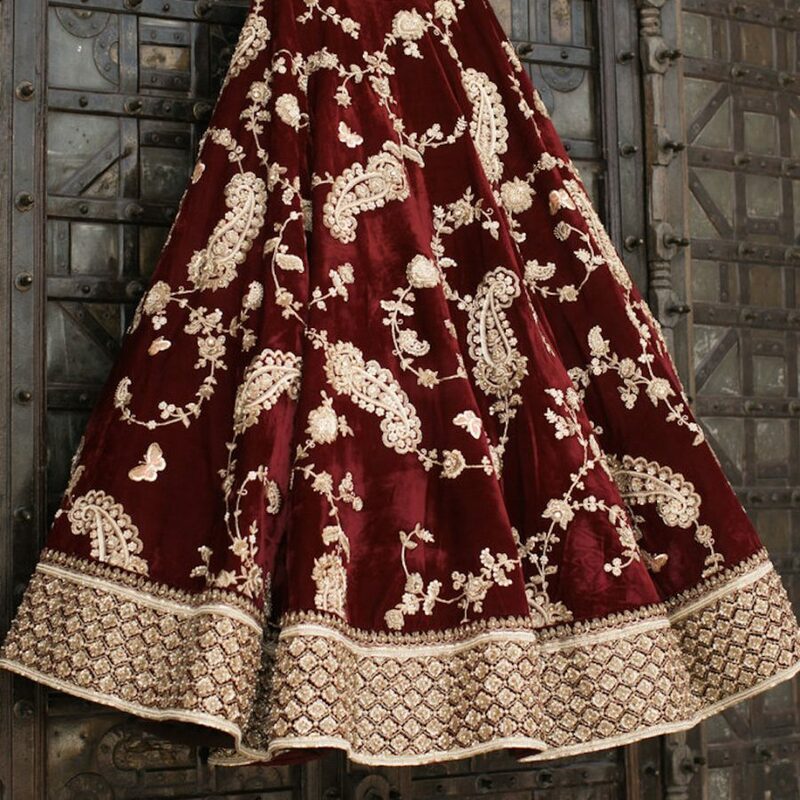 These are harder to find in India, but Ridhi Mehra and Param Sahib are two designers where I’ve found these in the past. Women who love wearing flats (me!) 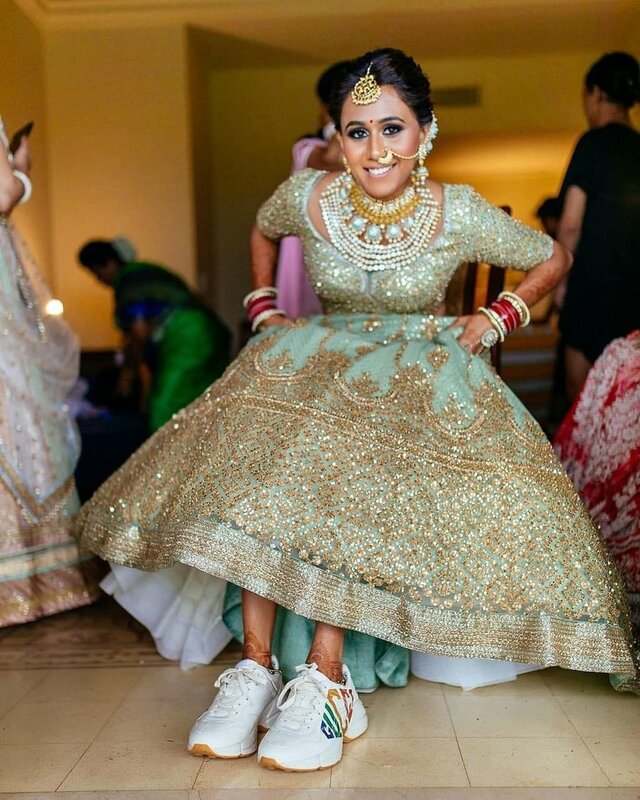 typically reach out for their standard gold or silver juttis when they’re dressing up for weddings. 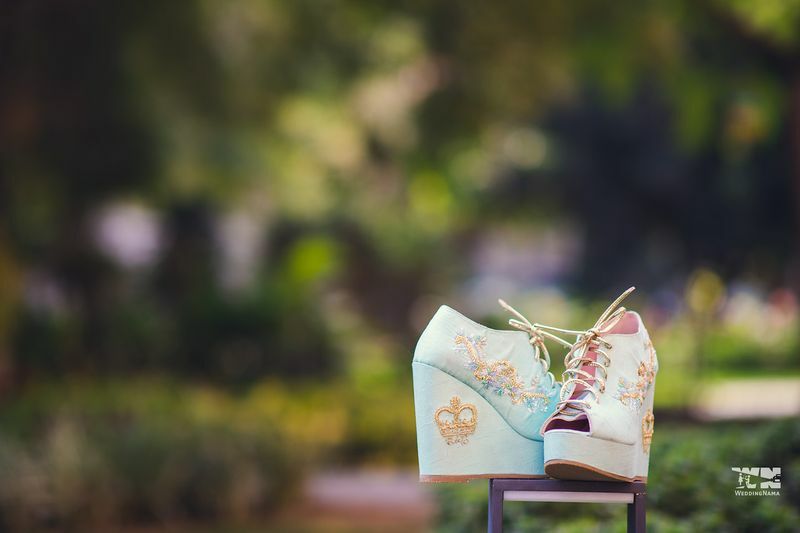 But with Needledust’s launch in 2014, I suddenly looked at the basic jutti from a whole new lens. 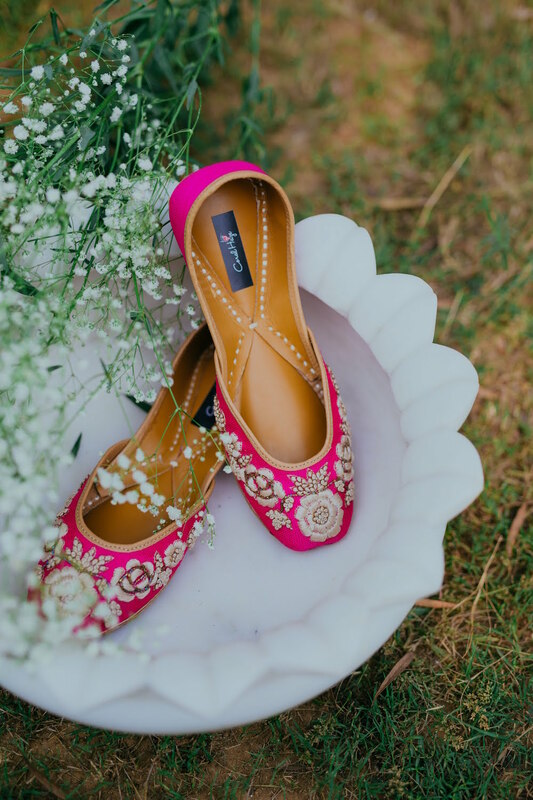 Floral prints, intricate threadwork, zardosi embroidery – suddenly, the jutti is the bride’s new favourite footwear! 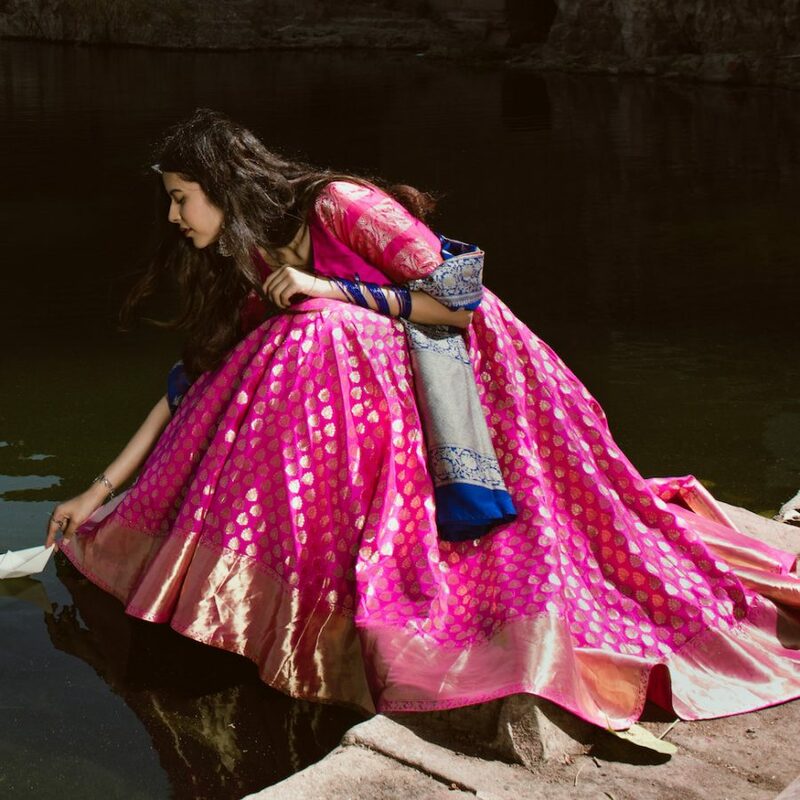 Other brands who create lovely designs are Fizzy Goblet, Coral Haze & Shilpsutra. 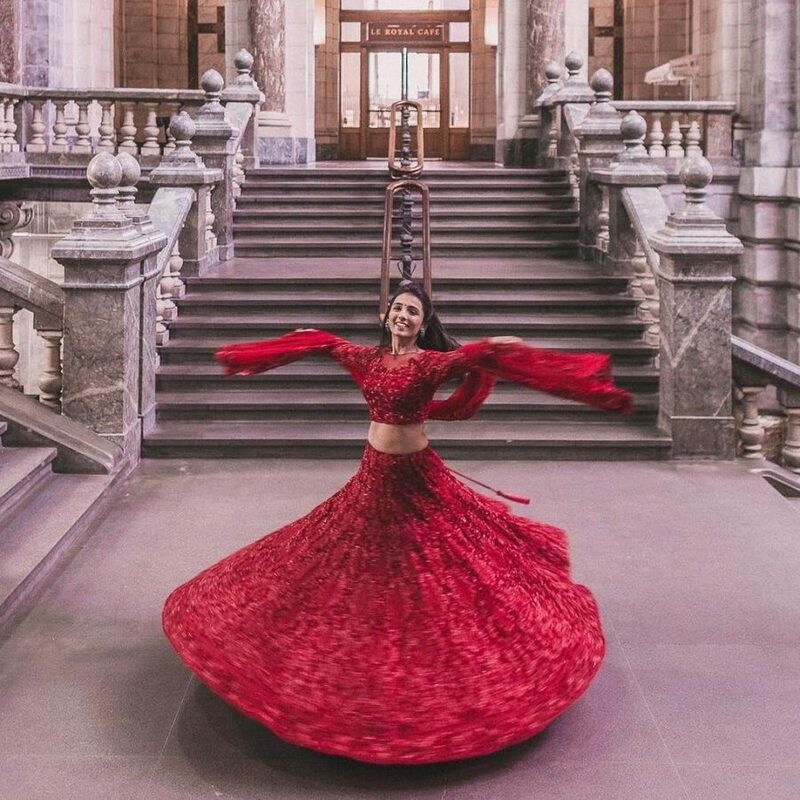 Sonam Kapoor Wore The Ultimate Reception Lehenga! 2 60+ Gorgeous Wedding Mandap Designs To Inspire You! 4 The Most Beautiful Floral Table Centrepieces for your 2019 Wedding!